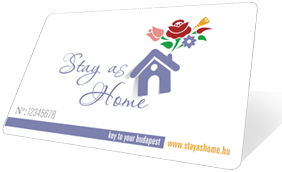 Use your Stay as Home card to get 20% off your purchases between 1 October, 2012 and 31 December, 2012. You can choose from the whole stock of 400,000 volumes… This offer CAN be combined with other special offers. Antikvárium.hu is the largest Hungarian second-hand bookstore with its over 400,000 volumes. Here you can search for title, author, as well as subtitle, blurb or table of contents, which enables you to always get the book you want. You can also register for books which haven’t been available for a long time, and we will purchase them for you as far as possible. You can ask for our newsletter on topics that interest you, so we can inform you about our newly arrived publications daily. We count most of the Hungarian universities among our clients, and are proud to say that we have acquired high quality books for numerous researches and theses. Our live telephone and on-line costumer services offer personal support, and provide instant help in case you have any questions or problems. We offer you several ways to collect the books you ordered. Our courier can deliver them to your place, or you can pick them up personally at more than 500 of our outlets in the country, including 40, for free.